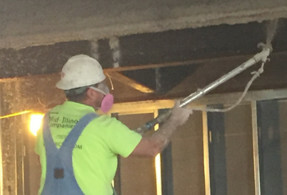 When it comes to fireproofing in Peoria, IL, no one performs a more efficient job than Mid-Illinois Companies, a privately-owned construction and maintenance services company. Although we have experienced significant growth since first opening our doors in 1970, we continue to maintain the same goals and ethics that have clients returning year after year. Our commitment to the community and your construction projects shines through in each job we tackle. All construction projects must be complete and thorough when it comes to fire protection. The most efficient fire-resistant materials can be combined with active fire prevention systems to create a safe haven for inhabitants of the building. This includes using stone, brick, iron, or cement – all non-combustible construction materials – when constructing a new structure. 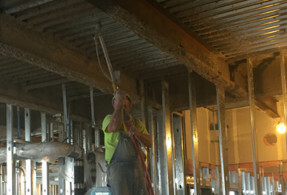 Fireproofing is an essential component of any construction project. For example, using improper materials near openings or joints of a building may cause fires to spread quickly. In fact, we can implement a variety of fireproofing systems to improve the fire-resistance rating of any building we perform work on. As professionals who handle fireproofing in Peoria, IL, we strive to offer excellence in all services. Our team has the experience and training to provide high-quality service and materials for all your construction needs. As we grow, our strength and expertise in the industry expand exponentially. With that being said, our commitment to customer satisfaction and quality craftsmanship remains the same. We will never sacrifice quality simply to speed up the building process and tackle more work in a shorter period. 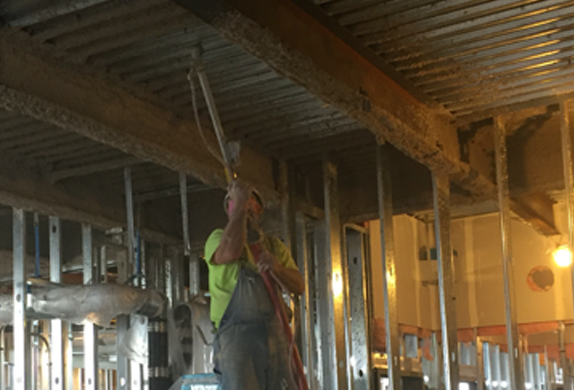 When you hire our fireproofing in Peoria, IL, you receive our unwavering attention. 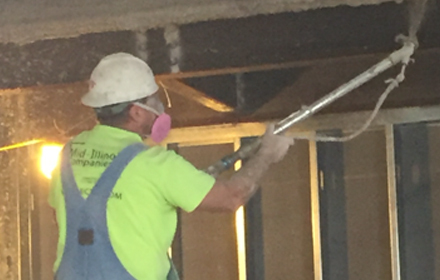 For fireproofing in Peoria, IL, contact Mid-Illinois Companies by calling (309) 674-0717. We would be happy to answer any questions you may have and assist you in any way you require. Just give us a call!